Wanlong Station, Exit 1, take road on left and follow the signs. 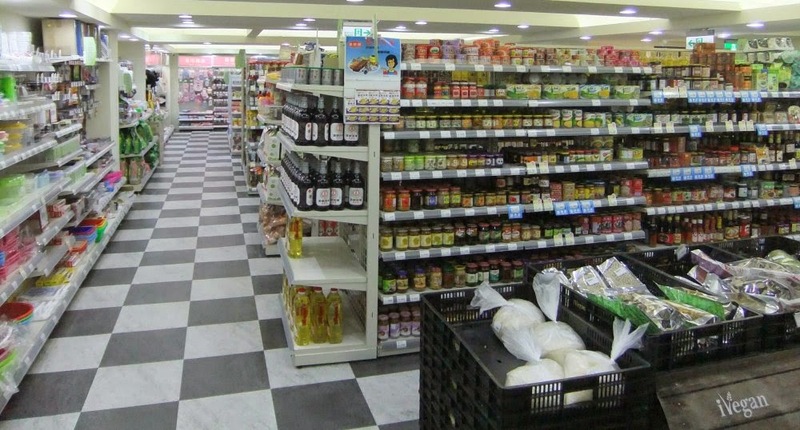 iVegan is Taiwan's first all-vegan supermarket. 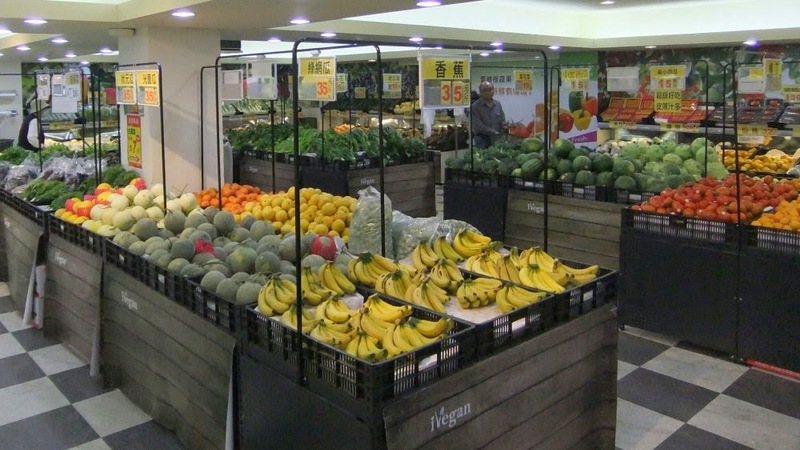 If you live in Taipei it's your one-stop shop for all your grocery needs, including fresh fruit and veggies, packaged goods, frozen foods, fresh baking, cleaning and body care products and even housewares. iVegan opened its doors in August 2013, but I only made it for my first visit in April 2014, a fleeting visit before I left for the airport. I was expecting a small grocery store, but found a large, busy supermarket. Unfortunately, as of 2018, its stocks are diminishing, and it appears to be focussing on apparel, and most vegan-specific items have gone. I wonder if it is going to sell or close down soon. 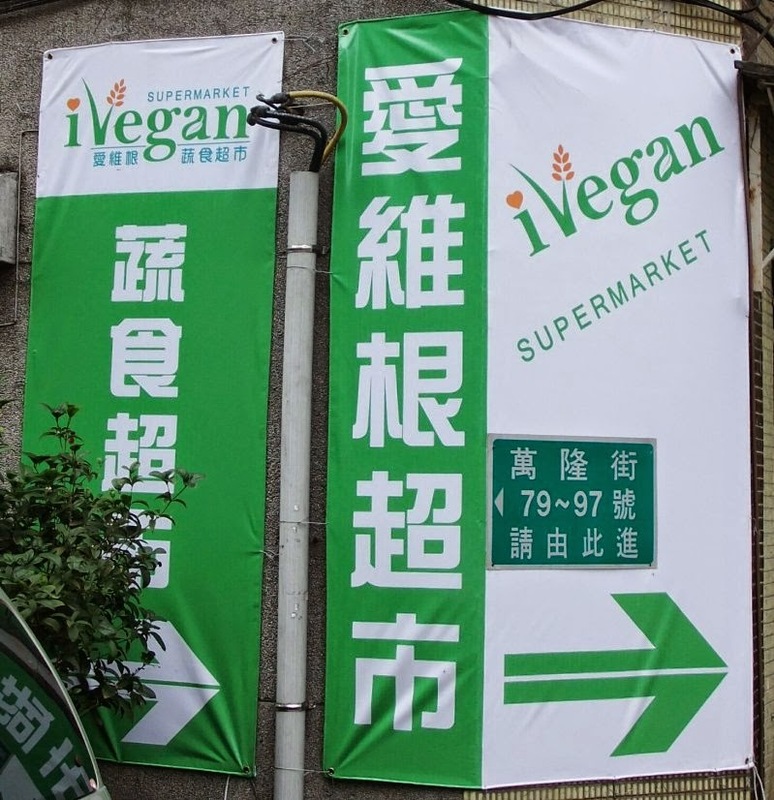 iVegan is in the basement of a mostly residential area, but it's well-signposted and just a hop, skip and a jump from Wanlong Station, just six stops from Taipei Main Station on the Green MRT line. 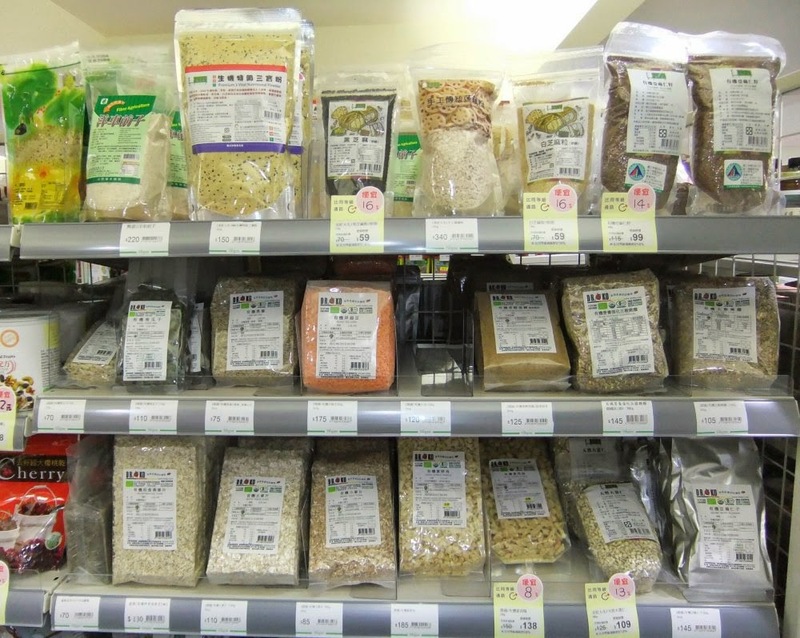 iVegan has a small organic selection with a wide assortment of products. iVegan sells pizza from Veggie Joy and baked products from Fresh Bakery. All products sold at iVegan are strictly vegan, so far as they don't contain any animal ingredients. 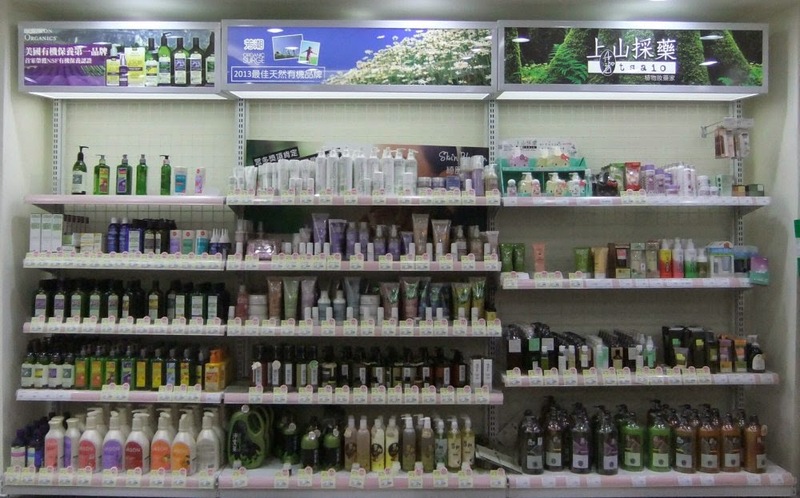 However the store takes a pragmatic line on animal testing, since many customers off the street will expect to be able to buy conventional cleaners (at conventional prices) and it's difficult to find out about animal testing, especially of third-party ingredients (which most cleaners are made from) and for locally-produced products. IVegan avoids products from the big companies with the worst reputations (Unilever, Proctor & Gamble etc) and of course they support non animal-tested products as much as possible, but they do sell products from local suppliers as long as they don't contain animal ingredients. The store aims to improve its animal testing policy in the future, and welcomes suggestions on how it can achieve this. I didn't specifically check, but I'm sure there are enough products from reputable vegan suppliers that buying everything non-animal tested would not be a problem. iVegan has a large variety of vegan (and cruelty-free) body care products. There are plenty of signs to point you in the right direction from Wanlong Station, Exit 1. It's about time you updated this blog of yours. So glad you did! I'm missing taiwan so much right now. Planning a trip back sometime after summer/ before fall. If you're in town, let me know!! I'm only going to be back for about two weeks before my Fall Semester starts. ivegan is so close to my home. I live in Gongguan...I will go there to check soon! If you are pure vegetarian and Vegan or if you are interested in becoming vegetarian or vegan, looking special vegetarian trekking in Nepal or other holidays, that now we are able to organize for you trekking tours, cycling trips and adventure activities by Vegetarian Guide. Eating out as a vegetarian or vegan generally Nepal's tradition. Many of Nepalese communities still pure veg. Probably Nepal Footprint Holiday P. Ltd. is the first local trekking agency who are more responsible and passionate about Vegan community, offer holiday for you around the country. During the tours and trekking in Nepal, we do provide you full local vegetarian food . Also we support local farmer and encourage to product and used more vegetables than other junks food, buy form them directly and explain them about the benefits to be a Vegetarian. 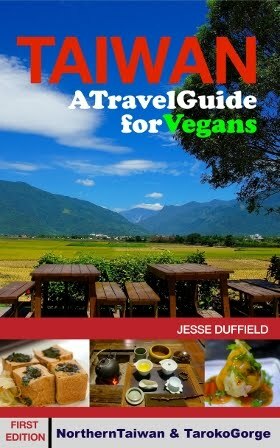 I was initially worried about moving to taiwan without all these western vegan options. You've clearly changed that! Thank you so much and please keep it up! Thanks Vivian! Let me know if I can help with anything. I hope your move goes well.